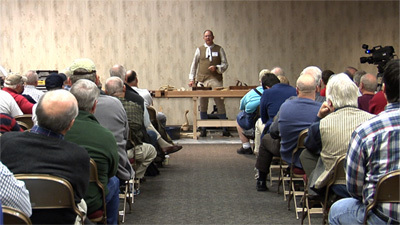 Your full-Conference registration includes: three days of unlimited woodworking classes with top-notch instructors, a ticket to the Friday Night Woodworking in America Banquet, and Marketplace admission on Friday and Saturday. Price includes your choice of sessions for Friday, October 18 OR Saturday, October 19, and Friday and Saturday access to the Marketplace. *Keynote speaker event not included in one-day, but you have the option to add it during registration for $55 per person. 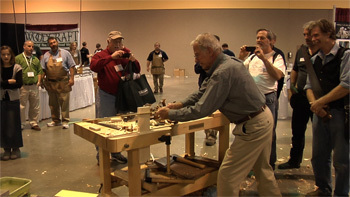 Woodworking in America does offer both a student & instructor discount on conference registration. Please submit proof of student status (active student ID card AND current school class schedule) to woodworkinginamerica@fwmedia.com. Further registration details will be sent upon approval of student status. This rate is also extended to Military Personnel. Friday, October 18: 9:00 a.m. – 6:00 p.m.
Saturday, October 19: 9:00 a.m. – 6:00 p.m. Featuring aisles of top-tier toolmakers, the Marketplace gives you a chance to try out and buy tools, watch demos and test your skills in the Hand Tool Olympics. If you don’t have time to attend classes at WIA, be sure to get a Marketplace ticket! Conference Cancellation Policy: If you must cancel for any reason, please contact us by September 18, 2013. Your registration fee will be refunded, less a $50 processing fee. No refunds will be made after this date. Substitutions may be made by phone, fax or e-mail until October 11, 2013. After this date, all substitutions must be made on-site. If you booked the Full-Conference package, but would like to change your package to the 1-Day Package, you may do so with a $25 change fee. 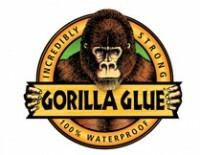 To make this change, please e-mail woodworkinginamerica@fwmedia.com with your request. We can accept changes through September 18, 2013. Marketplace Cancellation Policy: If you must cancel for any reason, please notify us via email at woodworkinginamerica@fwmedia.com by October 11, 2013. Your registration fee will be refunded less a $2 processing fee. No refunds will be after this date for any reason. All attendees will receive their confirmation materials via e-mail. All attendees will receive their badges and session materials when they check in at the start of the Conference. We've made sure our facility has total accessibility, and we do whatever is needed to make attending the Conference as convenient as possible for all attendees. If you have a special need, please send an email to WoodworkinginAmerica@fwmedia.com or call us at 1-877-746-9757, option 4.